I am almost embarrassed to admit this, but this is my first pillow! I've sewn numerous window treatments, dresses for when my daughter was little and Halloween costumes, but sadly…never a pillow! Oh how that is now changed! I am so happy with how my No-Sew Floral Spring Pillow turned out. No-sew is all the rage so I thought I'd give it a whirl. I leafed through the home sewing books that I own and various pillow patterns. From what I read from those, I went with a simple envelope pillow. I headed out to my local Jo-Ann Fabric and Craft Store. 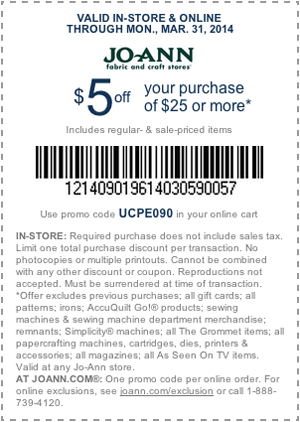 Jo-Ann makes spring crafting easy during National Craft Month with a $5 off $25 or more purchase coupon and a spring crafting inspiration website. Jo-Ann has a huge, impressive fabric selection! One of the huge trends for spring in crafts, fashion and home decor is floral. I am so a floral girl. I love romantic vintage, floral inspired fabrics. I wanted to make a small accent pillow to use in an occasional chair. I decided to go with this beautiful, vintage inspired soft floral fabric. Jo-Ann has a large pillow form selection as well. I used my ruler that has an edge to hook onto the cutting mat. This allows for very straight cuts when used with the guide lines and rotary cutter. I cut 3 pieces in the following sizes to fit my 12×16″ pillow form. On 1 long end of the 2 back sections (wrong sides of fabric), cut a piece of tape to fit the length. Iron it on following the directions on the tape box. It will be hot!!! Let it cool completely before peeling off the paper backing. This will also ensure that it has set up. Peel the paper backing off the tape. Fold over and iron to hem. Do this for both back pieces. This gives a finished hem for the envelope back. On the front piece, iron the tape around all four sides of the front piece (pretty side). Once cooled, remove the paper tape backing. Leave the piece just like it is. Place the two back pieces on top with pretty sides facing each other. It will look like this. Iron the 3 pieces together. Really follow tape directions. I use a hot, no steam setting and apply a bit of pressure to really marry the pieces together. The back forms an envelope back to insert the pillow form. This way you could easily change out the pillow with the seasons. I didn't take a picture of this, but slightly clip the corners so you can get a sharper corner. Let it cool and set up for about 10 minutes. Turn it inside out. I drew an “L” on the front with yellow chalk. You could glue the buttons on with a heavy-duty fabric glue. I decided to just sew on the buttons for added durability. Great excuse to sit and watch a TV show! Insert the pillow and voila! You are done. The pillow portion was completed in an hour. Of course, you could leave off the button monogram, but I love the extra decorative touch! This is the back of the pillow. You can easily slip the cover off to change-up your look. Be sure to check out Jo-Ann for all of your spring crafting needs. You can visit the online site HERE. Coupon can be found HERE! I loved it and thank you for the inspiration! I’ve been grumbling to myself over tired pillows every time I walk past the living room. This is a wonderful idea to repurpose without have to store the old pillows. Love the fabric. Off to JoAnn’s tomorrow. This fabric is pretty enough to frame also. I too love florals and this one is really pretty! Cute pillow, Christy! I love a “no-sew” project! Happy Spring!